Harry Dean Stanton, an instantly recognizable character actor whose career spanned seven decades, died of natural causes in Los Angeles today. He was 91 years old. Most recently, fans enjoyed Stanton as he reprised his role as Carl Rodd, the kindly trailer park manager, who returned to the new Twin Peaks. But that was just one on a huge list of roles fans will remember the actor for. 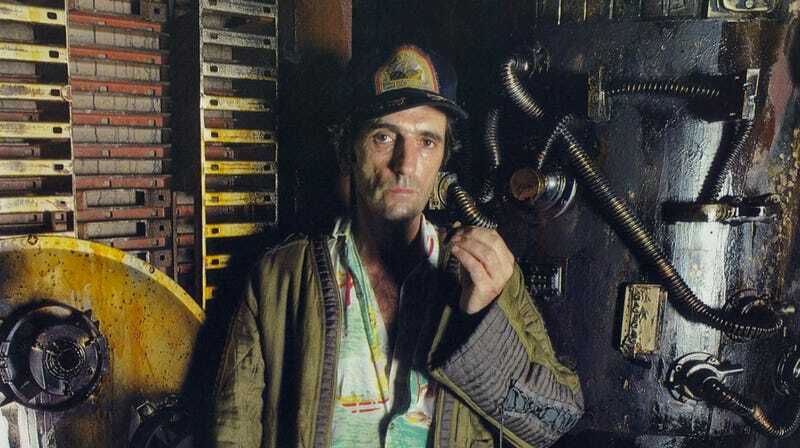 Science fiction fans probably remember him best as Brett, the cat-loving Nostromo crew member in the original Alien. But again, that’s just one of many memorable turns in the career of this living legend. Gunsmoke, Rawhide, Escape from New York, Christine, Repo Man, Red Dawn, Paris Texas, Wild at Heart, Fear and Loathing in Las Vegas, Big Love, the list goes on and on. He even became a part of the MCU a few years ago, with a small role in The Avengers. Stanton’s unmistakable face and incredible range meant he could do anything in front of a camera. And anytime he was in front of one, you could never take your eyes off him. His long, distinguished career will stand as a monument to one of the greatest character actors to ever grace the screen.